The primary purpose of a seal is to contain a fluid and protect the immediate environment from contamination. 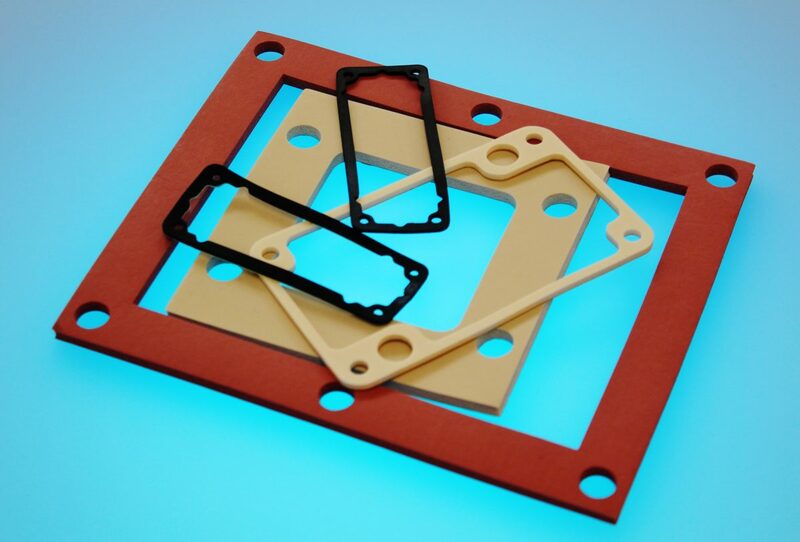 A gasket is used to create and retain a static seal between two relatively stationary parts. A static seal aims to provide a complete physical barrier against the fluid contained within by blocking any potential leakage path. In this section information is given on gaskets, gasket materials and gasket categories (types). A gasket is a compressible material, or a combination of materials, which when clamped between two stationary members prevents the passage of the fluid across these members. To prevent passage of fluid, the gasket must be able to flow into (and fill) any irregularities in the mating surfaces being sealed, while at the same time be sufficiently resilient to resist extrusion and creep under operating conditions. The seal is affected by the action of force upon the gasket surface (usually by bolts), which compresses the gasket, causing it to flow into any surface imperfections. Although we are best known for our elastomeric gaskets, we also manufacture in a lot of other materials to allow our customers to single source all their sealing requirements from one reliable source. Below is a simple list of some of the usual materials we manufacture with. These are general headings to highlight our production capabilities, if you require more in-depth information on grades, approvals or technical specifications please contact our Technical or Relationship Management Teams. Please also view these links to our Solid Rubber and Sponge Rubber grades from which you can view our Material Data Sheets.